Natalie La Rose certainly knows how to churn out an infectious dance floor stomper. 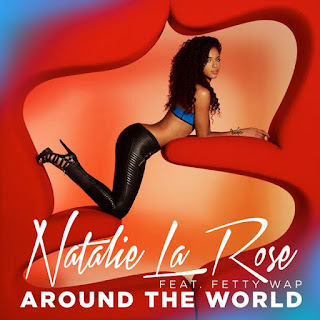 Will 'Around the World' be as big as her top 10 debut single, the Jeremih-assisted 'Somebody'? Who knows, but since it houses a pulsating, electro house beat, it could very well be your tune of the summer. Natalie is working on her debut album for release on Flo Rida’s label I.M.G and Republic Records.